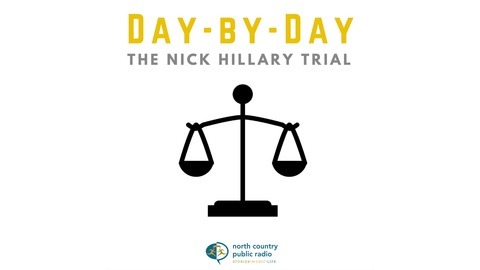 The trial of former soccer coach Oral "Nick" Hillary starts September 6 in Canton, New York. Hillary is accused of strangling 12-year-old Garrett Phillips to death nearly five years ago, in a case that's grabbed national headlines. Reporters from NCPR have been following it from the start. They'll be your guide to what's happening in the courtroom each day. 010329. 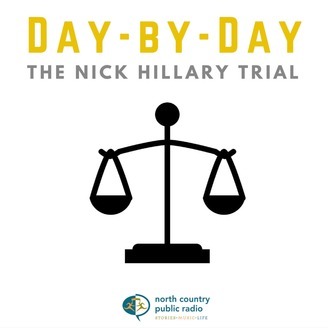 (Oct 3, 2016) In episode 17 of Day By Day: The Nick Hillary Trial podcast, David Sommerstein, Lauren Rosenthal, and Brit Hanson look into reactions to Hillary's not guilty verdict, including takes from legal experts about the prosecution's insistence that Hillary is the killer.